World Whisky Day founder Blair Bowman will attempt to set a world record for the most Scotch distillery visits in one day, while gathering a selection of bottlings to be raffled for charity. 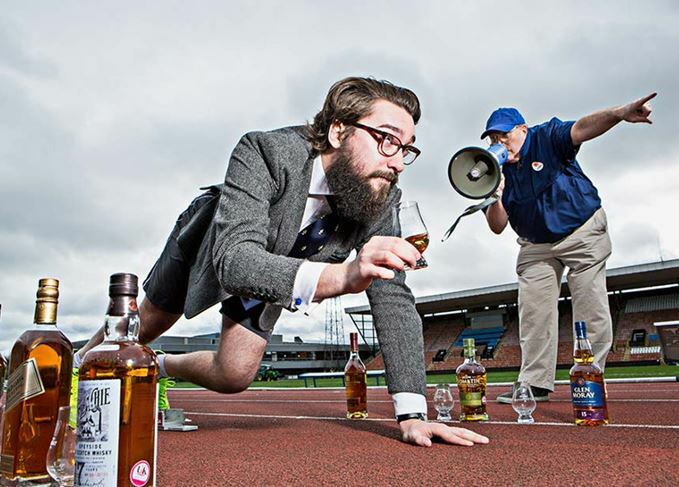 On 15 May, Bowman will race against the clock in an effort to visit 60 distilleries across Scotland in one day (17 hours), starting at Balblair distillery in Ross-shire and finishing at Aberfeldy distillery in Perthshire. The idea came from Willie Wallace, who has 20 years’ experience running whisky tours in Scotland. Each distillery taking part in the Great Whisky Distillery Challenge has agreed to donate a bottle of Scotch to form the main raffle prize. If all goes to plan, organisers expect to accumulate about 50 bottles, as some distilleries do not bottle their own whiskies. Raffle tickets cost £1 and the entire proceeds will be donated to Just a Drop – an international charity that works to provide accessible, clean, safe water, and health and sanitation programmes to some of the most deprived parts of the world. Entrants should note that the whisky can only be delivered to UK residents. Bowman said: ‘As far as we are aware, no-one has attempted to set a record like this before and, despite meticulous planning, there is always a risk that we might not get to all 60 of the distilleries on the day. ‘All the money raised will go to Just a Drop, which brings clean water to some of the poorest communities in the world. Additional raffle prizes include two four-day whisky tours for two people in Speyside, donated by Edinburgh-based tour company Scottish Routes. Ten copies of Bowman’s new book, The Pocket Guide to Whisky, will also be entered into the raffle. Raffle tickets can be purchased online at www.raffleplayer.com/justadrop and further details of the Great Whisky Distillery Challenge can be accessed at www.worldwhiskyday.com/great-whisky-distillery-challenge.